This workout is perfect for the days when you have zero motivation to come up with a workout on your own or are bored with the workout you are currently doing. 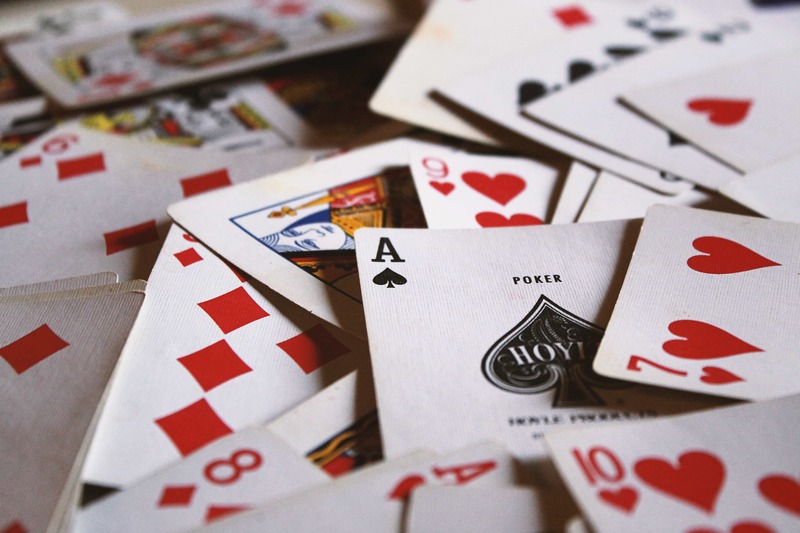 The dealer’s choice workout is easy, free and can be done at home or in the gym, all you need is a deck of cards (there is probably a free app for that too). Follow these easy steps and you will be sweating in no time. Select a workout by figuring out which body part or focus you want the workout to challenge. For example, do you want to work the lower body, upper body, abs, cardio, full body, etc? Pick four exercises that match up with your focus. If you picked lower body then you need to select four exercises that focus on the lower body. Each exercise will represent each suit in your deck of cards. For example, squats, jump lunges, bridges, and tuck jumps. Assign each exercise to a suit. Using the example from above the squats are hearts, jump lunges are diamonds, bridges are spades and tuck jumps are clubs. Assign your repetitions by using each number in the deck to represent that many repetitions of each exercise if the card is pulled. The tricky part is deciding what the ace and face cards represent. We like making these higher repetitions or choosing a duration of time. Set a time limit by figuring out what you want out of your workout. If you want to focus on just one focus area then maybe just do the workout for 15-20 minutes. If you want a mix of all then try full body workout for the first 10 minutes, when you’re done, assign new exercises to each card suit, and do a lower body workout for five minutes, then an upper body workout for five minutes, and cardio for 10 minutes. Grab a partner and have a little fun. You can perform the workout as is or make it a bit more challenging by assigning the red suit for repetitions you do and the black card for repetitions your partner does. For example, if you pull a red card, you do the repetitions but if you pull a black card then just your partner has to perform the repetitions. This can make working out more fun and challenging.